ï»¿ Are you getting the best value for your online advertising? Are you getting the best value for your online advertising - or are you being ripped off? If your business pays a fixed monthly sum for your Google advertising â€“ all managed by a third party marketing company â€“ then you need to read this. We look at whether these services really are good value - and if there are any alternatives. Tens of thousands of SME's are paying a fixed monthly â€œall inclusiveâ€� fee for their Google Advertising. Many large marketing companies have moved into this space over the last few years, some are even household names having previously been involved in printed advertising. It seems a great deal. Fixed monthly cost, no surprises, fully managed service. 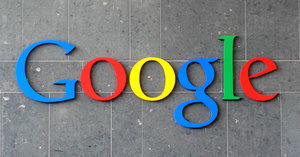 The reps may even talk of a â€œspecial relationshipâ€� with Google that implies special favours. You see your ad at the top of Google, and all looks rosy. But is it really such a great deal â€“ or is it all â€œsmoke and mirrorsâ€�? Many large marketing companies sell Google Adwords at a fixed, all in monthly cost. They manage everything, set up campaigns, write ads, choose keywords and you see your ad on Google at the top of the search results. They may even send you a nice monthly report. Lets look at the pros and cons. It's a good first introduction to online marketing for many SME's whose only previous experience had been setting up a Facebook page. It may be the most expensive way, but it is totally hands off. There's no way round it â€“ it's the most expensive way to do it. These companies take a large percentage of the monthly spend to fund their business costs. Salesman commissions, offices, staff etc. It's not uncommon for them to take 50% or 60% or more as their fee. So on a Â£500/month advertising budget, you may only be getting Â£150 - Â£200 worth of Google clicks. But that's not even the worst disadvantage, because the next one will cost you money. Any adwords specialist will tell you that the ongoing optimisation, tweaking & management of the account is what transforms campaigns into profitability. Writing & testing ads. Optimising bids. Improving Quality Scores. Reviewing search terms. Testing landing pages. There's a ton of work to be done to really improve the enquiries you get from Adwords and reduce your costs. Unfortunately, because these companies have high overheads, the amount of time a specialist will actually spend managing your account tends to be very small indeed. If they can't spend much time on your account, they sure as heck don't have time to learn the intricacies about your business. And that's vital. Without knowing this, it's easy to end up with wasted clicks because the wrong keywords were used. If you ever want to change providers, you'll quickly find they â€“ not you - own & control the Adwords account. And that makes it appear difficult to leave. Fortunately, new accounts can be recreated, usually better optimised too. While it's tempting to pay a fixed monthly costs for â€œall inâ€� management, the downside is you never really know what's going on with your account, and ultimately end up spending 2 or 3 times more than you need to per click. Do it yourself: You could learn the ropes of Adwords and do it yourself. There is a lot to learn so check out our Adwords Cheat Sheet here. Use a Specialist: Engage an Adwords Specialist (With Transparent Fees) to optimise and manage your Google advertising.Yes, you may still end up with paying the same monthly amount, but you'll know how much is going to Google, and how much is going on management fees. A specialist will dedicate far more time to managing your account, which could give you twice as many visitors â€“ and sales -for the same ad spend.